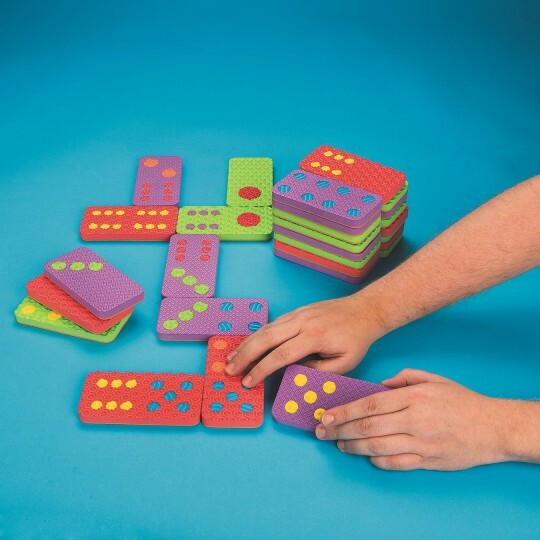 Foam dominoes in assorted colors and textures are a tool for tactile discrimination and color recognition. Set of 28 extra large, easy-to-grasp lightweight pieces, each measuring approx. 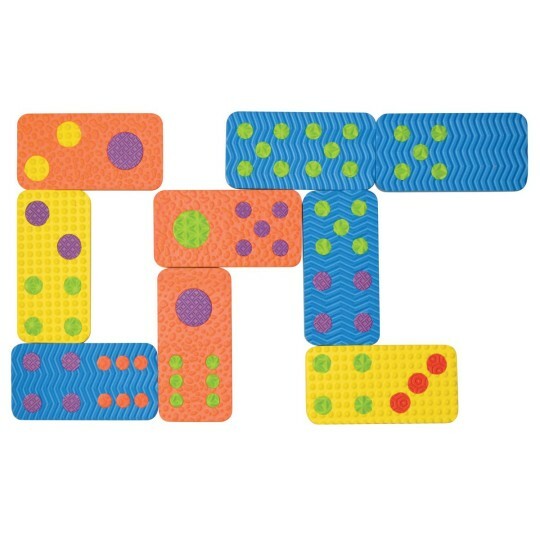 13 cm x 6.5 cm – perfect for arthritic or small hands. 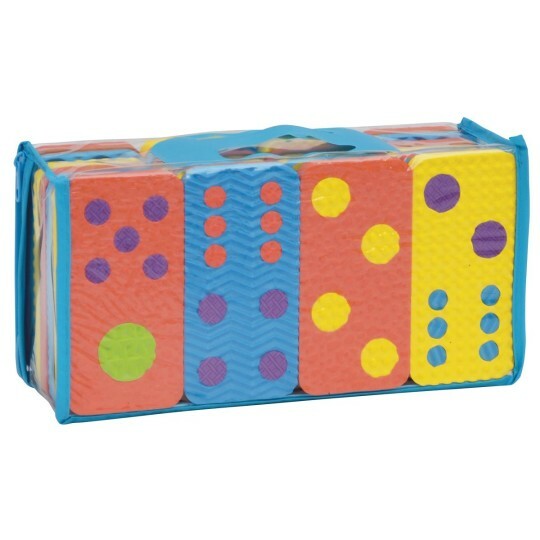 Comes in a handy zippered storage bag.